The non-profit association fragFINN e.V. has developed and updates a whitelist of child-appropriate Internet offers (German language), and campaigns for positive youth media protection and the increased media competence of children. fragFINN offers a protected surf room, especially designed for children aged 6 to 12 years. Using the children’s search engine, only child-appropriate websites that have been checked by media educators can be found, and Internet sites especially for children are placed at the very top of the search results. In the adult area of fragFINN.de, a range of possibilities are introduced for technically safeguarding the secure surf room. Parents and educators can find information material for download, as well as a range of links on the topic of safe surfing in the Internet. The operators of “Internet-Beschwerdestelle.de” have been working successfully for many years together with the German Federal Review Board for Media Harmful to Minors) (BPjM). The main task of the German Federal Review Board for Media Harmful to Minors is the indexing of youth-endangering media (in a list of “media harmful to minors”) on request from other administrative institutions. Complaints submitted to “Internet-Beschwerdestelle.de” regarding youth-endangering content hosted outside of German can be forwarded to the BPjM, so that a decision can be made regarding indexing. If the BPjM indexes content which has been put online by a provider located outside of Germany, then this indexing list will be disclosed by the Federal Review Board to the recognized organization for tele-media self-regulation, to be incorporated in user-autonomous filter programs. Via the BPjM-Module, connected search engine operators who are FSM members will no longer show the respective Internet address. The “Internet-Beschwerdestelle.de“ was incorporated into the German initiative “Deutschland sicher im Netz” (www.sicher-im-netz.de) in 2006. Often, there is not enough information for prosecution of illegal content. The “Internet-Beschwerdestelle.de” acts as a platform for receiving such information and reports, and the operators work together with law enforcement authorities, Internet service providers and partners worldwide to ensure that such content disappears from the Internet and that offenders are convicted. 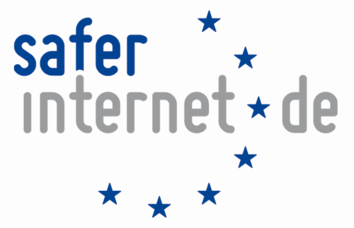 The project “Internet-Beschwerdestelle.de” is funded by the European Union as a part of the German Safer Internet Centre. The German Safer Internet Centre includes – as well as the portal www.Internet-Beschwerdestelle.de operated by eco and the FSM – the awareness centre “klicksafe”, the hotline “jugendschutz.net” and the child and youth telephone helpline “Nummer gegen Kummer”. In order to encourage the safe use of modern means of communication and to protect consumers from unwanted content, the EU established the “Safer Internet Programme” in 1999, the essential elements of which have since been integrated into the Connecting Europe Facility (CEF): With this action plan, illegal, unwanted or damaging content is to be combatted and a secure surfing environment and the sensitization of Internet users should be supported. The focus of activities is on the education of the population and the fostering of collaboration of societal groups and institutions. With the adoption of the “2014 CEF Telecom Call – Safer Internet” by the European Parliament and Council in 2014, funding for the German Safer Internet Centre went into the fourth round. Helpline for providing advice to children, youth, parents and teachers.